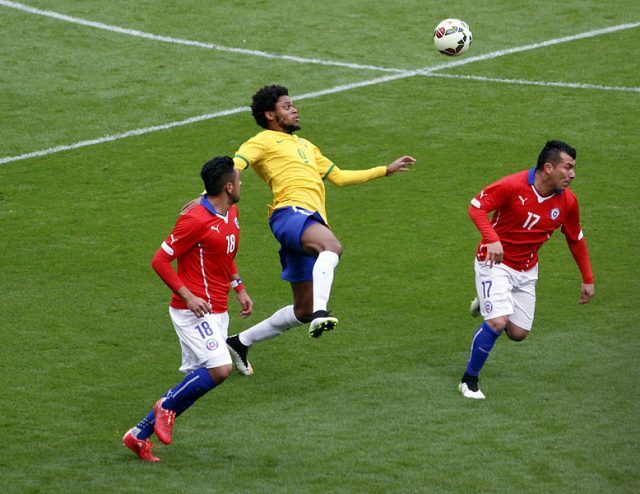 Luiz Adriano is headed to the Russian Football Premier League club Spartak Moscow. The move was first discussed on the Futbolgrad Podcast several weeks ago, and both Andrew and I believed that it would be a good piece of business for Spartak to sign the Brazilian forward. Back then, we thought that the transfer would cost Spartak Moscow around €8 million. But now it has emerged that Spartak were able to land the former Shakhtar Donetsk striker for the almost symbolic price of €1 million. It is a laughable sum for a striker who has demonstrated at Shakhtar Donetsk that he can be a prolific scorer both in the domestic Ukrainian Premier League and in the Champions League. In 265 games for Shakhtar, Luiz Adriano scored 128 goals, and gave 41 assists—including 22 goals in 43 Champions League games. 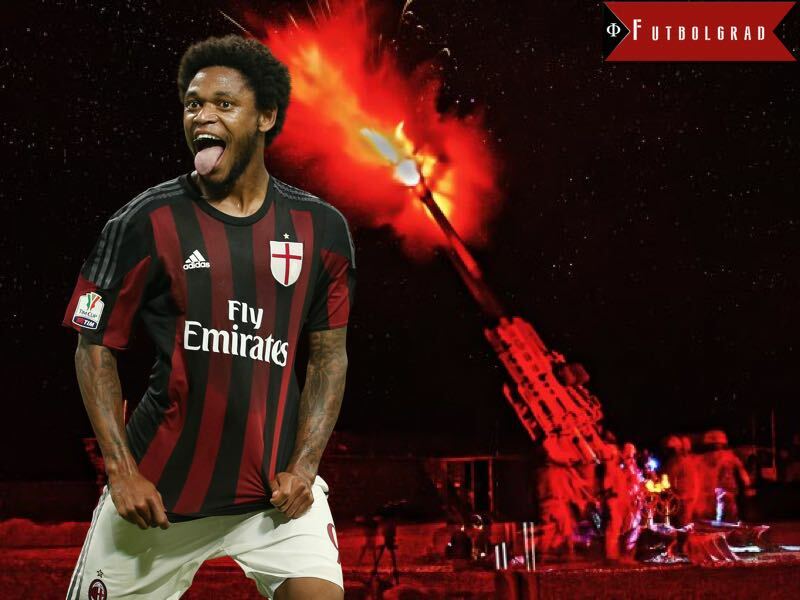 In 2014-15, Luiz Adriano scored nine goals in seven UEFA Champions League games, and nine goals in 21 UPL games. Indeed it was an outstanding season for the Brazilian forward. His contract in Ukraine, however, was about to expire in December 2016, and the Brazilian was reluctant to extend his contract with Shakhtar Donetsk. This meant that Shakhtar was eager to sell the Brazilian forward and, as a result, Luiz Adriano joined AC Milan for €8.5 million. The summer of 2015 saw the latest effort by AC Milan to restructure the club and, as the Rossoneri were eager to bring in a new forward in order to become more competitive both in the Serie A, and also in Europe—AC Milan had not won the Italian championship since the 2010-11 season, and had not qualified for Europe since the 2014-15 season. The AC Milan rebuild was made complicated, however, by several management changes, and also by the fact that AC Milan had no clear transfer strategy that summer. The same summer that AC Milan signed Luiz Adriano, the Rossoneri signed Sevilla FC forward, Carlos Bacca, for €30 million, and also signed Mario Balotelli on a loan deal from Liverpool FC—he has since left the club and joined OGC Nice. Needless to say, AC Milan’s squad was a bit top-heavy going into the 2015-16 season. Luiz Adriano played just 1183 minutes in 26 Serie A games, scoring four goals, and assisting on four more in the process. Then, in the 2016-17 season, Milan signed Gianluca Lapadula from Delfino Pescara, which meant that the Rossoneri would go into the season with three central forwards—Bacca, Lapadula, and Luiz Adriano. This meant that Luiz Adriano was limited to just seven starts in the Serie A. Furthermore, it emerged that Luiz Adriano was the club’s second biggest earner after Bacca, who earns €7 million, with an annual salary of €6 million. With AC Milan’s sale to a Chinese consortium in jeopardy and, with UEFA’s Financial Fair Play investigators keeping a close eye on Milan, €6 million a season was increasingly tough to justify for a player, who rarely started. AC Milan had tried to scrap the Brazilian forward from their payroll, but a transfer to the Chinese Super League club, Jiangsu Suning, failed in the most spectacular fashion. The deal between the player, and the two clubs was already agreed. Luiz Adriano had already arrived in China, and and appeared uncomfortable when photographed among the greeting crowds, and then refused the already agreed-on contract. AC Milan, therefore, had to continue to pay his exorbitant salary, while at the same time being unable to navigate freely on the transfer market. As a result, Milan were desperate to cut his salary in order to strengthen other areas of the squad. For Spartak Moscow, this meant that they were in an excellent negotiation position with AC Milan. Leonid Fedun, in fact, was adamant that he would not pay whatever it takes to bring in the Brazilian, as Spartak was also linked with Fenerbahçe’s Emmanuel Emenike this winter. It was, therefore, expected that Spartak should have an easy time signing the forward for around the same price that AC Milan paid 18 months ago to bring Luiz Adriano in from Shakhtar Donetsk. Spartak, thus far, have spent just €6 million—on Aleksandr Selikhov and Georgi Dzhikiya—of the €25 million available to them in the winter transfer window. Spartak are expected to spent another €5 million on Lokomotiv Moscow winger Aleksandr Samedov. Including the €1 million spent on Luiz Adriano, Spartak have another €13 million available to them to spend this winter—more if they sell Serdar Tasci, Salvatore Bocchetti, or Maurício. Russian teams tend to make most of their deals in the three-month winter break and, with Spartak likely playing in the Champions League next season, any move made in the winter break will be with Champions League football in mind. Spending just €1 million on a proven goal scorer means that the club will have plenty of funds to strengthen the backline, and to bring in another creative midfielder. In light of this, bringing in Luiz Adriano also makes sense because neither one of Spartak’s current forwards—the Paraguayan Lorenzo Melgarejo and the Cape Verdean Zé Luís—have any Champions League experience. Also, Luiz Adriano spent eight years with Shakhtar Donetsk, and a move to Moscow is unlikely to be a culture shock for the Brazilian, which means that the striker will need little time to get used to life in the Russian Football Premier League. Luiz Adriano has already told the press, “I am happy about my move to Moscow”. This last part could be key for Spartak, as they will press hard in the last 13 games of the Russian Football Premier League to secure their first title since 2001. Given that Moscow now have a proven goal scorer who can link up nicely with winger Quincy Promes, Spartak, more than ever, look like the team to beat when it comes to answering the question as to who will win the title in the spring of 2017.